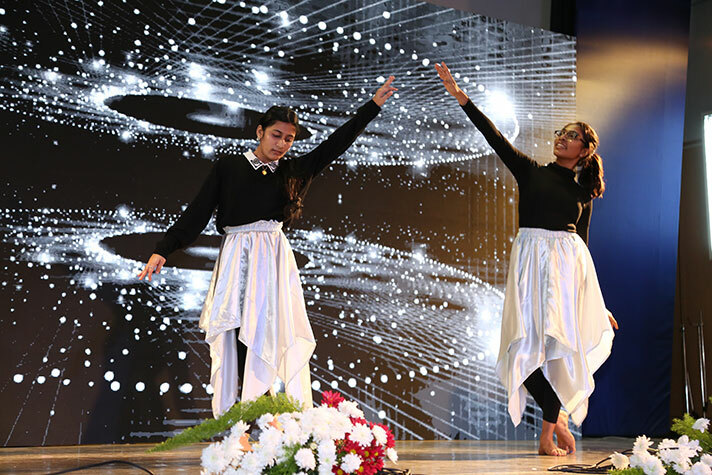 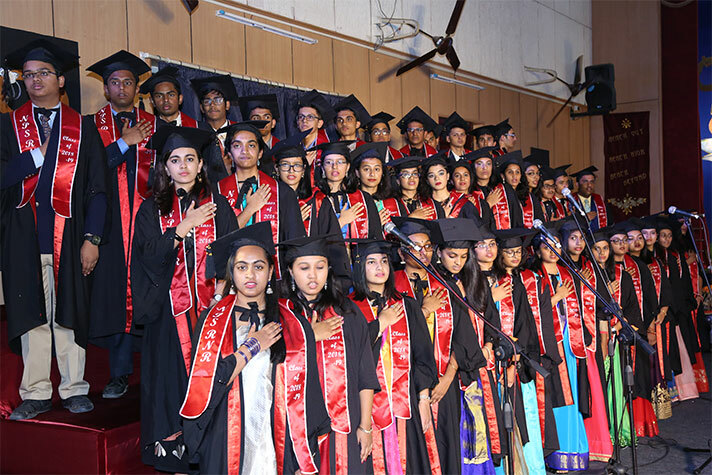 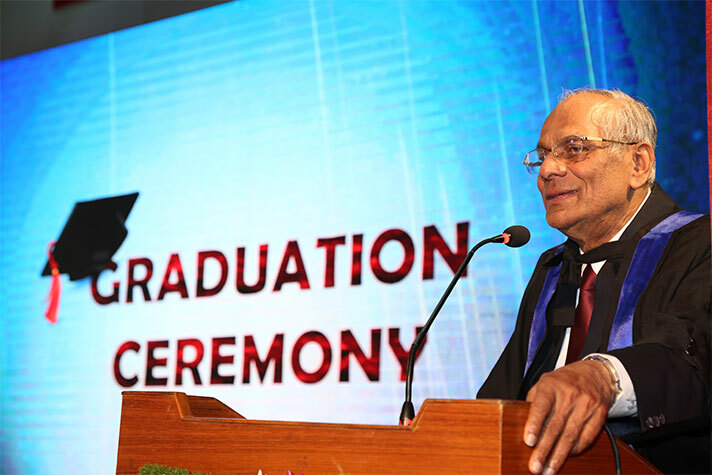 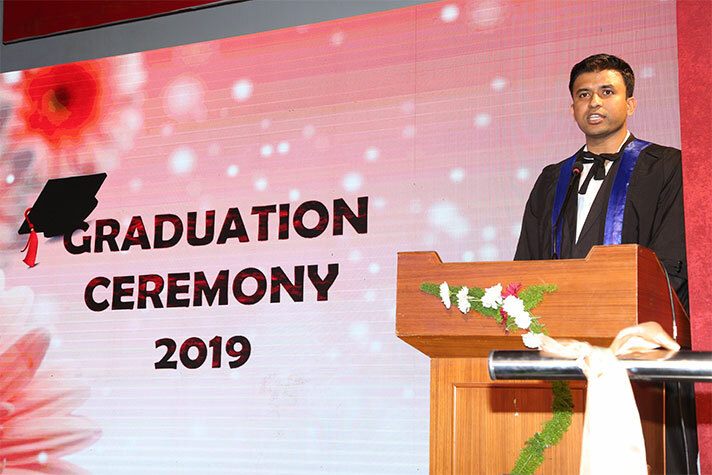 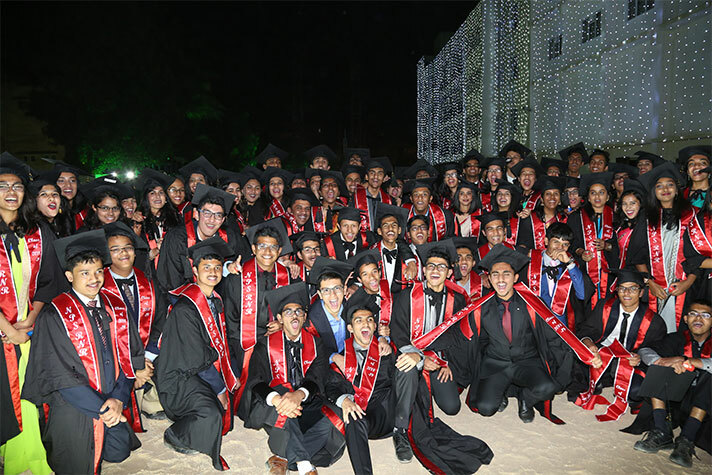 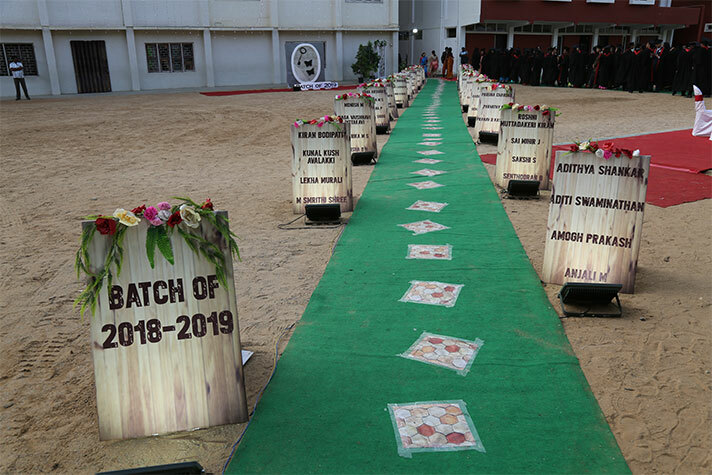 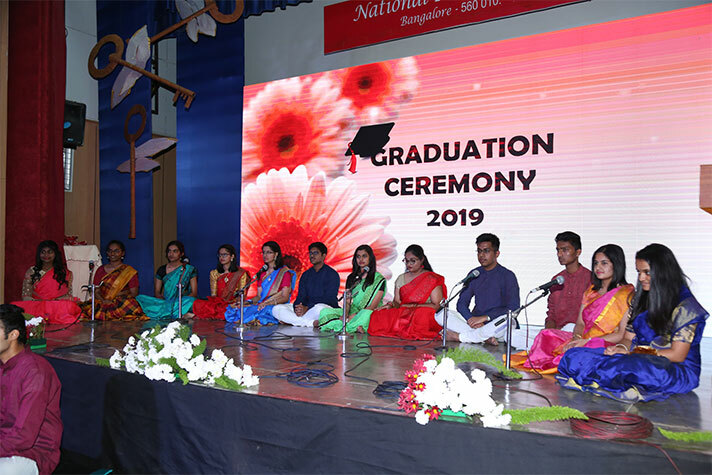 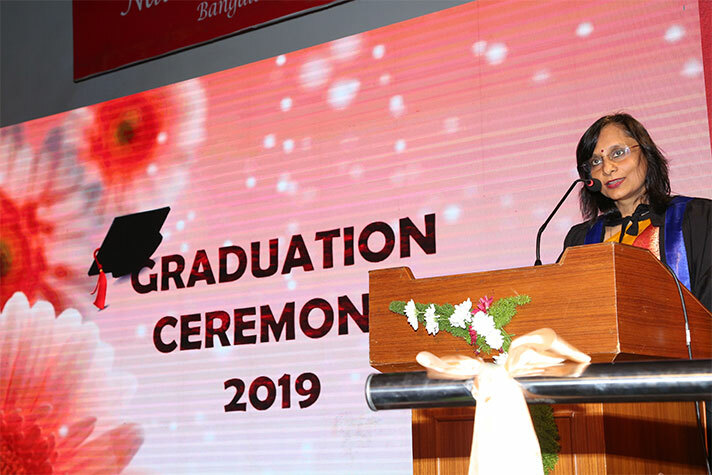 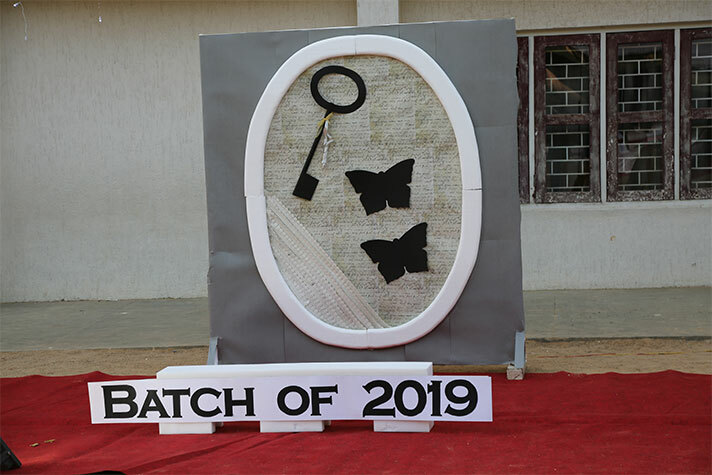 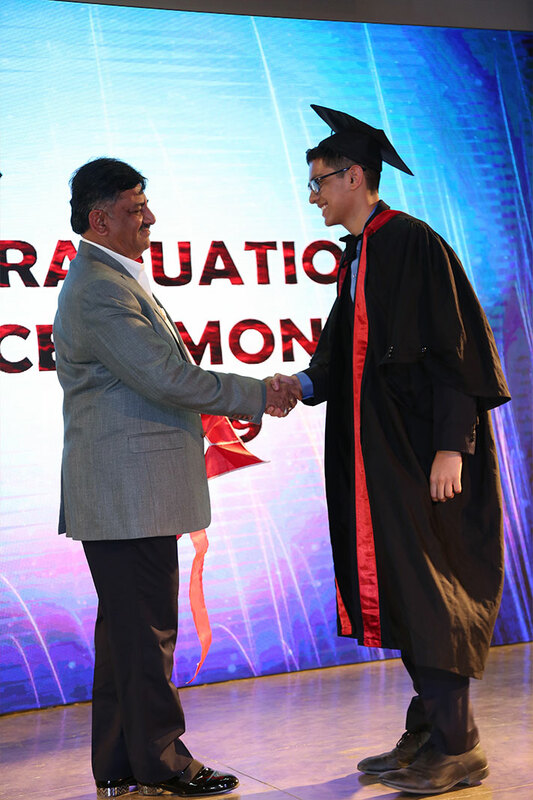 The Graduation ceremony for the Batch of 2019 was held in the school auditorium on the 30th of January ’19. 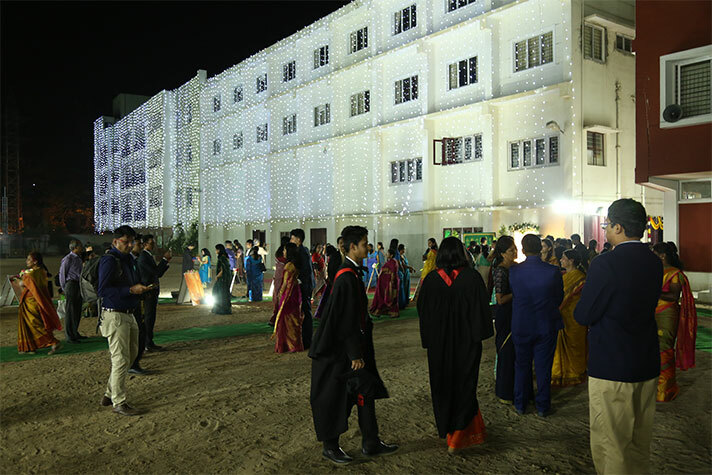 The tastefully decorated grounds and auditorium set an ambience of decorum and elegance. 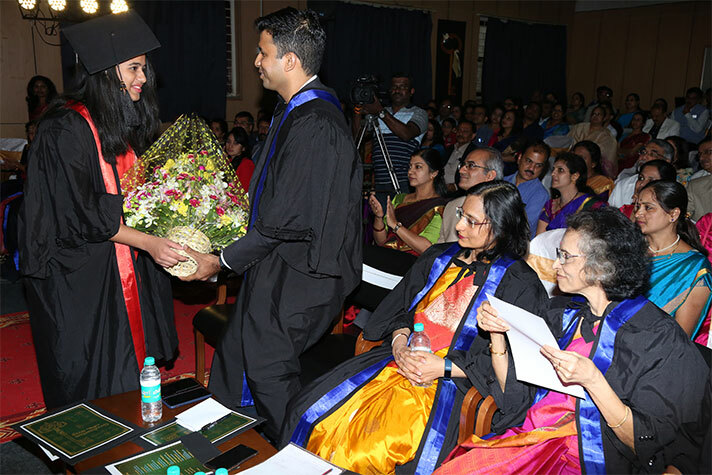 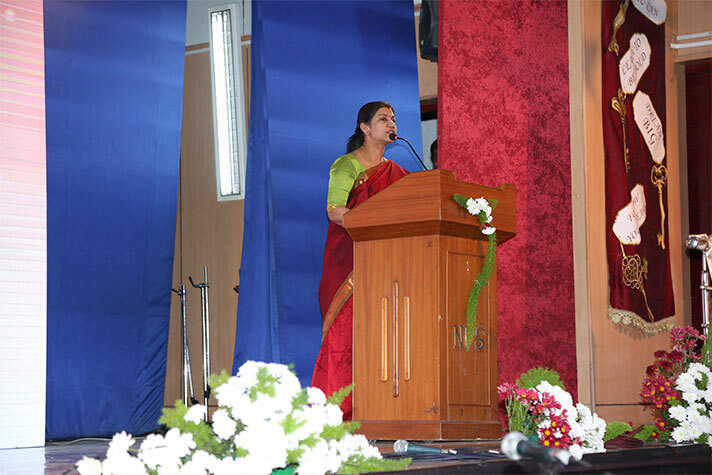 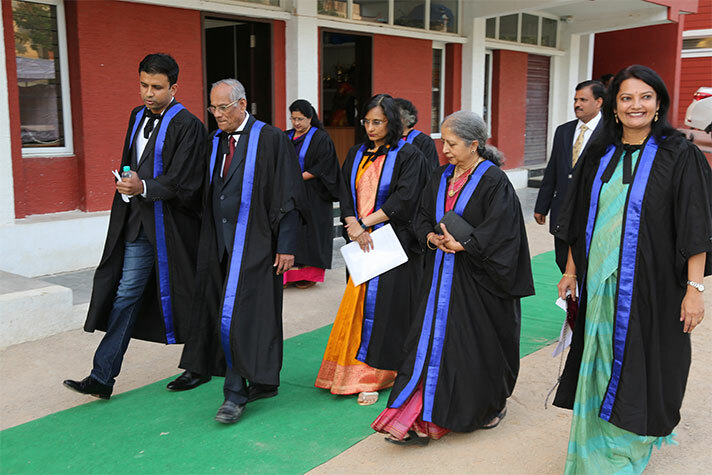 The guests were welcomed by Director Dr Bindu Hari, who stressed upon the students, the importance of looking back with gratitude towards their parents and their alma mater. 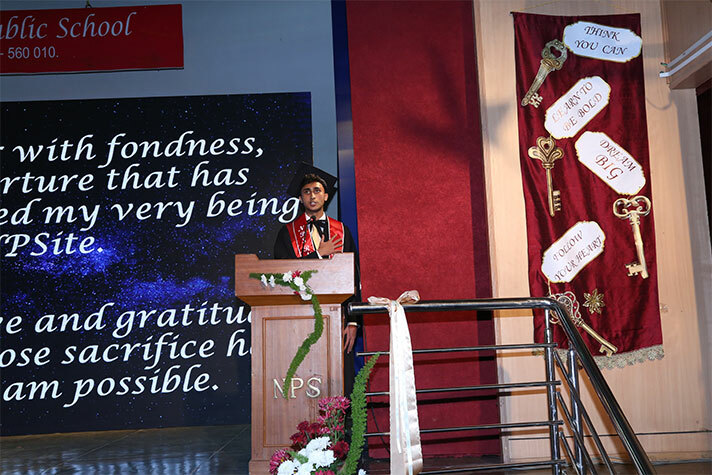 This was followed by an inspiring address by the Chief Guest, our prestigious alumnus Mr Shashank N D, CEO, Practo Technologies. 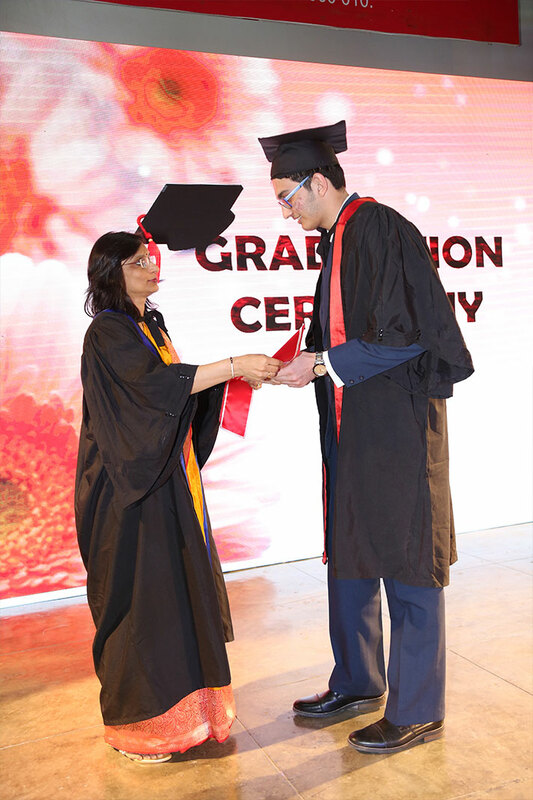 His journey from school graduate to a successful entrepreneur revealed the significance of standards to uphold at all times in life. 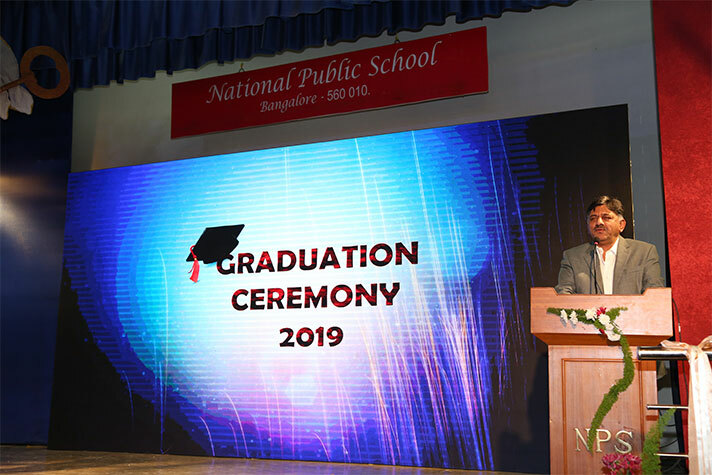 Motivating speeches by Founder Chairman Dr K P Gopalkrishna, Dean Dr Santhamma Gopalkrishna, Principal - Primary School Ms Mini Jayan, parent speakers Mr D K Shivakumar and Ms Vijayalakshmi Rangarajan stressed upon the importance of imbibing values and staying true to their roots in future. 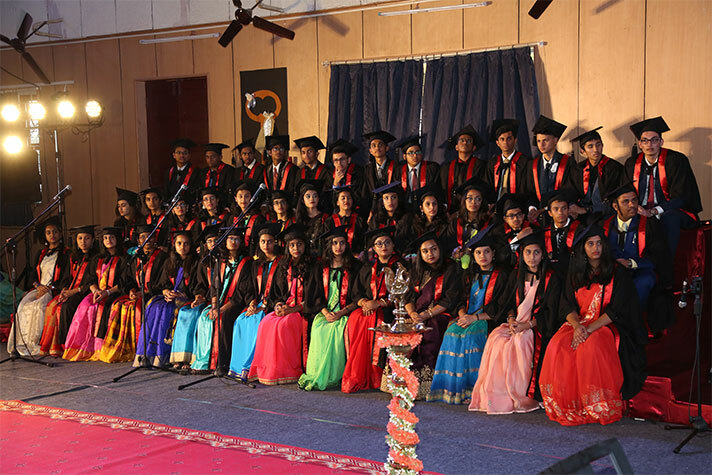 The students were presented with sashes to mark the occasion. 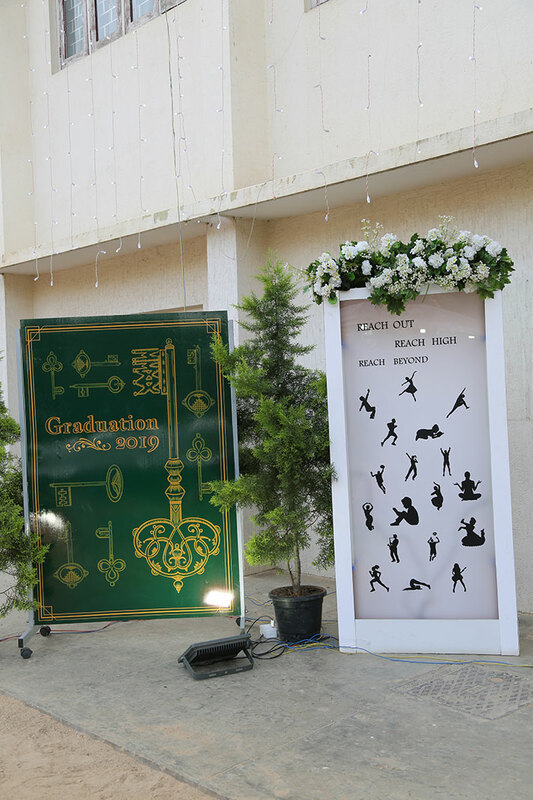 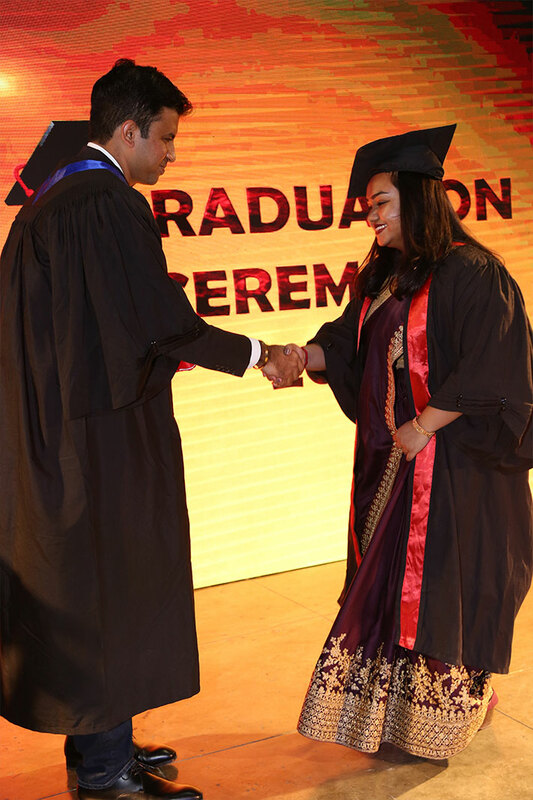 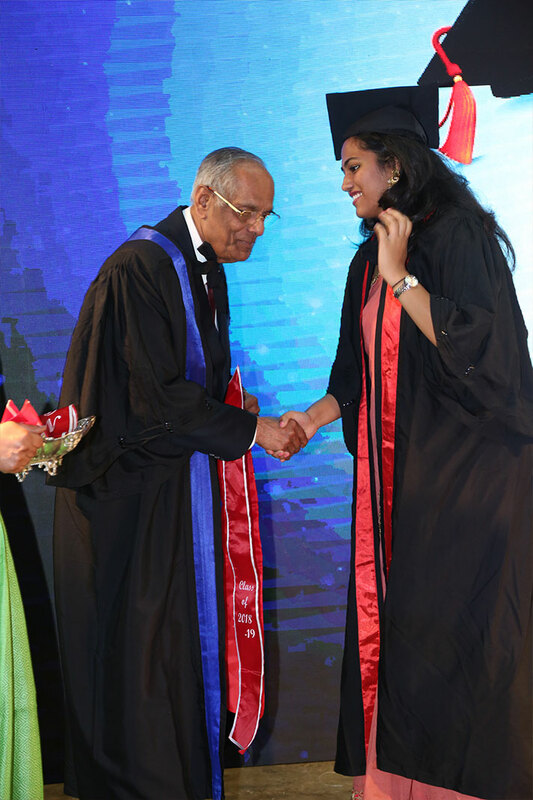 Principal, Senior School Ms Malathy Narayan declared the students graduates along with a touching message of blessings. 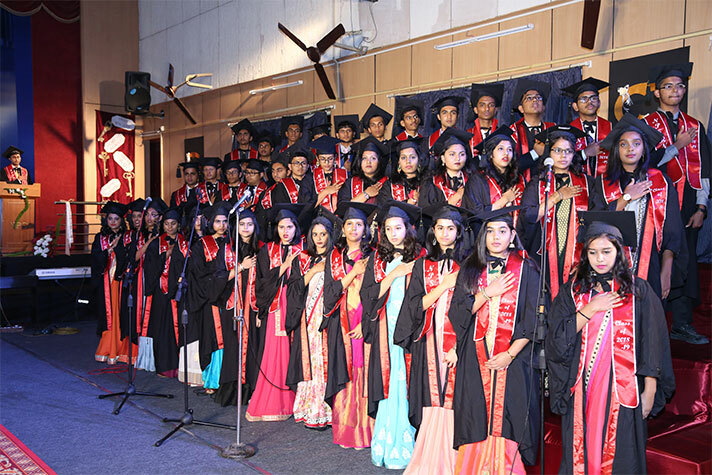 The students in turn paid tribute to their parents through a poignant rendition of ‘Wind Beneath my Wings’. 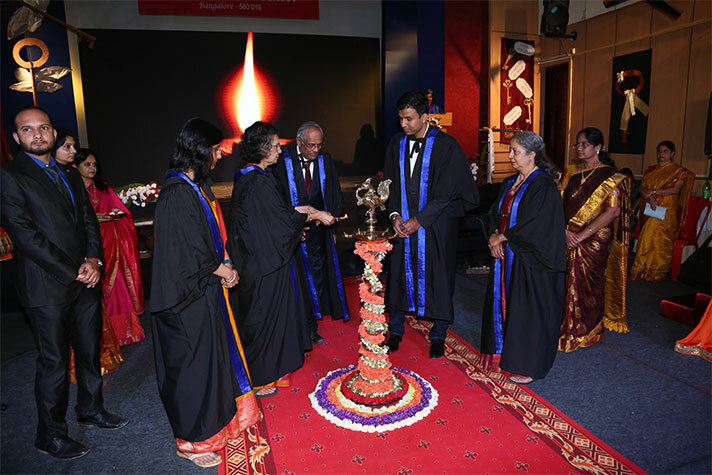 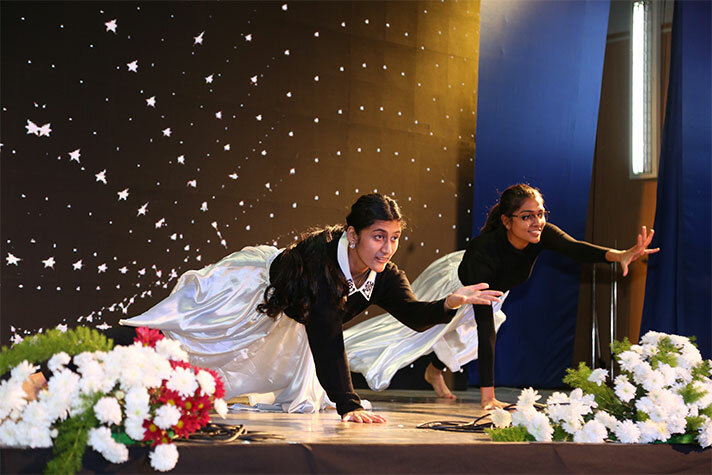 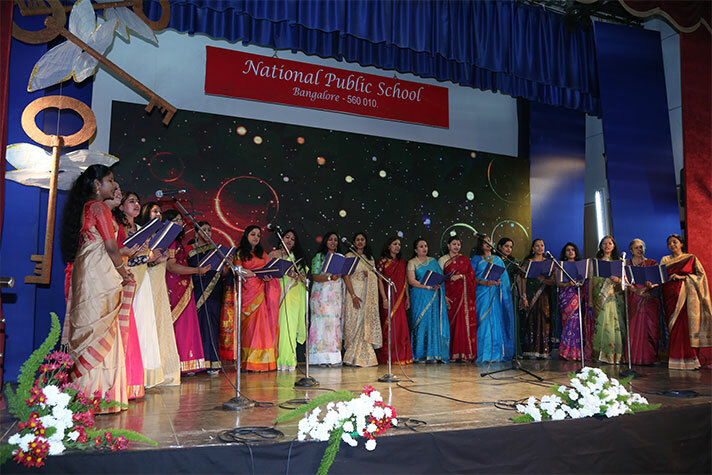 The finale was a medley of songs by teachers, giving their blessings to the graduates to ‘go light the world’. 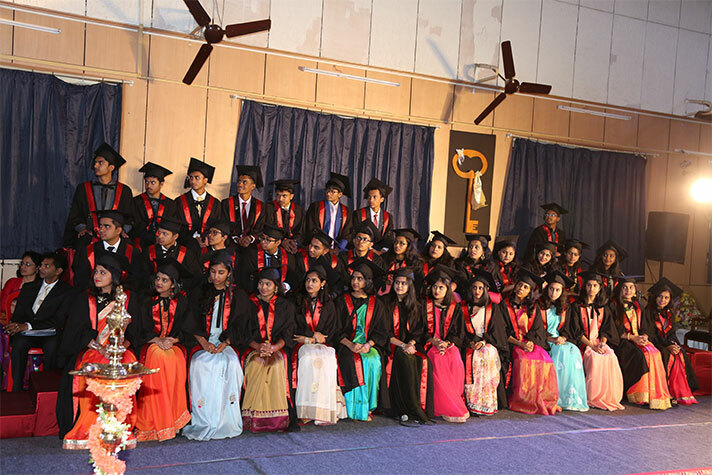 The evening ended with a sumptuous spread for dinner for the students and their parents.